Social media touches nearly every customer who walks through your door and 98% of digital consumers are social media users too. It’s one of the most effective ways to build a brand people trust and it gives small businesses a huge advantage. 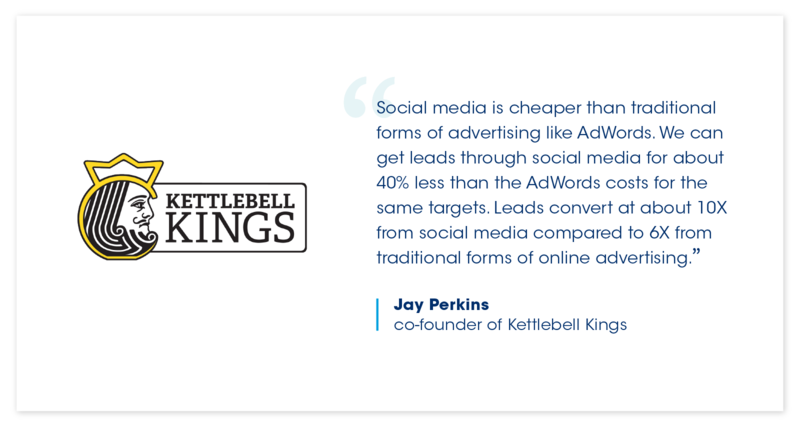 According to Statista, social media ad revenue exceeded $50 billion in 2018 — that’s over $17 per social media user around the world. 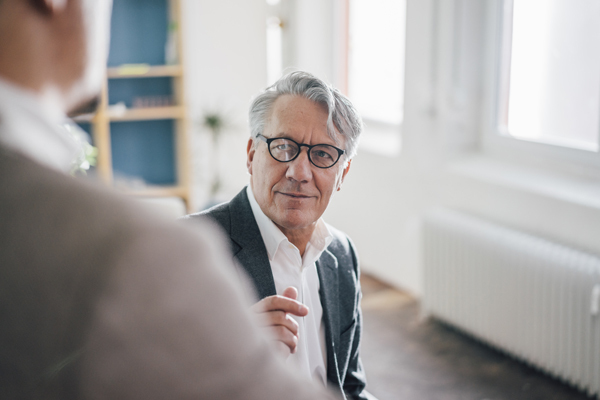 Social media provides you with the platform to better connect with your community and handle comments and questions from your customers. You can personalize and weave social media into every aspect of your business. This step-by-step guide should make the process of building your small business social media presence less daunting. As a small business owner, you’re likely the jack-of-all-trades. You have a lot on your plate — and social media may be one of the first items to fall off your to-do list. However, there’s no arguing how valuable social media marketing is for businesses of any size or industry. Finding customers to connect with on social media has a direct impact on sales and your bottom line. From initial research to the final purchase stage, social media is a powerful tool for brands to connect and engage users throughout the shopper journey. How you respond to your customers is just as important as having a social media presence. Consumers are quick to turn to social media for customer service, problem-solving and to get answers quickly. How your business responds to positive or negative interactions is critical. Whether you’re a local brick-and-mortar retail store or a small e-commerce food company, how you measure success is unique to your business. One thing is for sure: social media goals are crucial to getting you from where you are now to where you want to be. Make the most of your social media budget by setting measurable goals, but keep in mind not every goal should be treated equally. Which industry are you in? – Business-to-business (B2B) or business-to-consumer (B2C)? Retail, hospitality, nonprofit, food and beverage? What are others in your industry doing? – While you don’t want to copy, looking for inspiration from others can help give you insight into what works. What do you want to achieve with your social media strategy? – Increased brand awareness, new customers, repeat purchasers, more sales? Once you know what you want to get out of your social media campaign or strategy, you can narrow your focus and identify metrics to accomplish your goal. Posting blindly or at random times, then expecting results, would be like cooking without a few key ingredients and expecting a perfect dish. By setting goals before you begin, it’s easier to measure your successes or failures. Whether it’s providing answers to your customers’ problems or increasing sales, your social media goals should be S.M.A.R.T. and hyper-focused on what you want to achieve. Specific: What’s the purpose of the goal? Identify what you want to accomplish and the resources needed to do so. Measurable: Can you easily measure and track your progress? Pinpoint one or two performance metrics for your goal. Attainable: Can your business realistically achieve this goal? Be sure the bar isn’t set too high (or low). Relevant: Does this goal support a positive business outcome? If you’re not sure, reevaluate priorities. Timely: How long will this goal take to accomplish? Establish weekly, monthly or quarterly check-ins to stay on track. 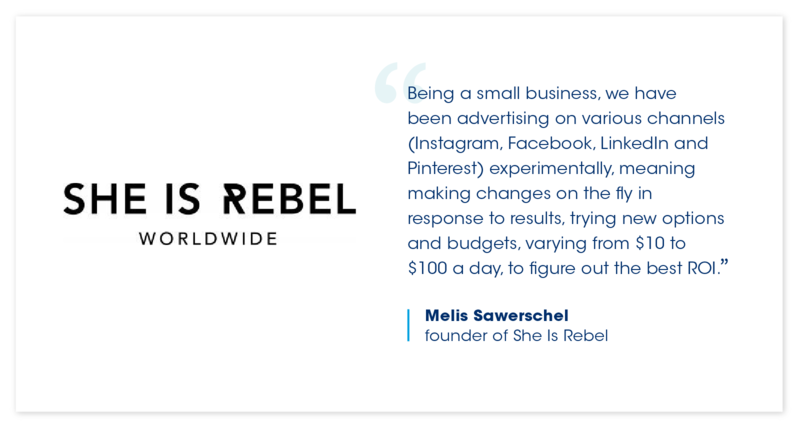 In spite of this, growth was stagnant, so She Is Rebel decided to craft a strategy based on its goals. Common social media success metrics include engagement, growth, website clicks and reach. For many small businesses, the most important of these metrics is engagement. Engagement sheds light on what your followers are interested in and what they have to say. Just having a ton of followers on your social account isn’t enough. To be truly successful, you need an engaged audience. Read on to the next section for tips on how to build and grow an engaging social media presence. Social media is a great way to connect with your customers, get feedback, answer questions and offer promotions. Below we outline the steps and top tips to strategically develop and manage your social platforms. You may be wondering which social media platform will work best for your small business. Different social networks have different user bases, so you don’t want to invest in one network if your core audience is on another. Keep in mind, compelling images and video are key for social media. More than half (58%) of people surveyed prefer “visual-first content, with graphics, images and produced video taking the lead.” This is particularly true on highly visual platforms like Facebook, Instagram and Pinterest. Once you decide on your social media platforms, it’s time to think about the image you want to portray. What is the voice and tone of your business messaging? Come up with descriptions, images and keywords to include on your social media profiles. Be sure you’re consistent throughout your entire online presence. It’s helpful to look for inspiration by researching the social media presence of competitors or leaders in your industry. Do you want to be a source of comedic relief? Or an expert in your space? Sifted is a lunch delivery service for what it calls “radically original teams.” Everything from its website to social media profiles is branded with a light and bright presence and a side of humor. Sifted isn’t afraid to let its brand personality shine through by having fun with captions and witty puns. Its Instagram presence grew from 500 followers of just clients, employees and friends to 10.5K followers using this strategy. Similarly, some companies decide to use social media for the power of good. Oracle is a brand that promotes its corporate social responsibility and brand message to potential employees as a desirable place to work. 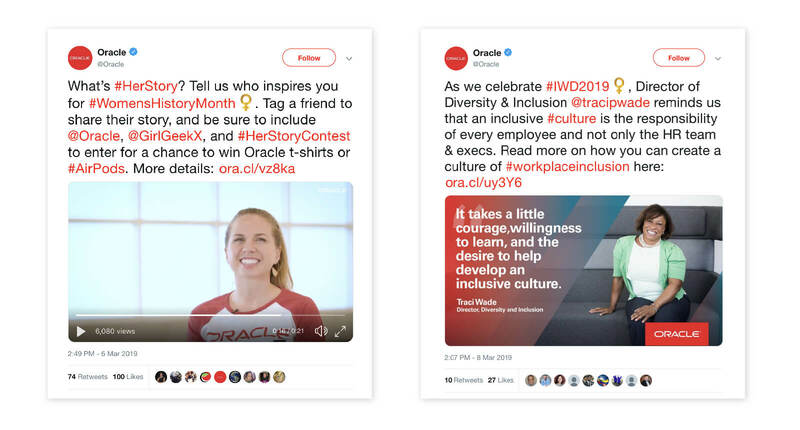 Oracle’s Twitter feed is fairly diverse, given the number of products it markets, but its philanthropic ventures and positive messages shine through on social. Consistent and quality content will engage your audience and attract new followers. Creating a content calendar is the best way to make sure you post consistently. It’s easy to forget or scramble last minute without a plan. Time spent on social media directly correlates with your business size and resources — however, 43% of small businesses spend about six hours per week on social media. Try allocating a specific time of day to take care of all things social. 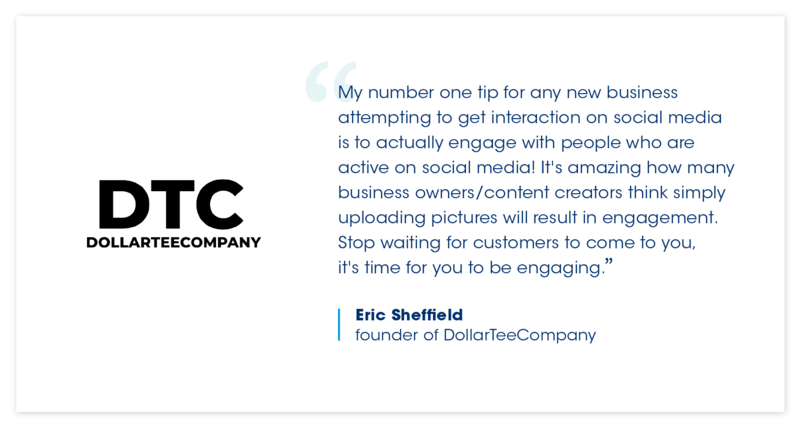 Be sure to include time to respond and engage with your followers too. For example, if mornings are slow for your business, block out 8 to 9 a.m. to create and schedule posts and 9 to 10 a.m. for response management. 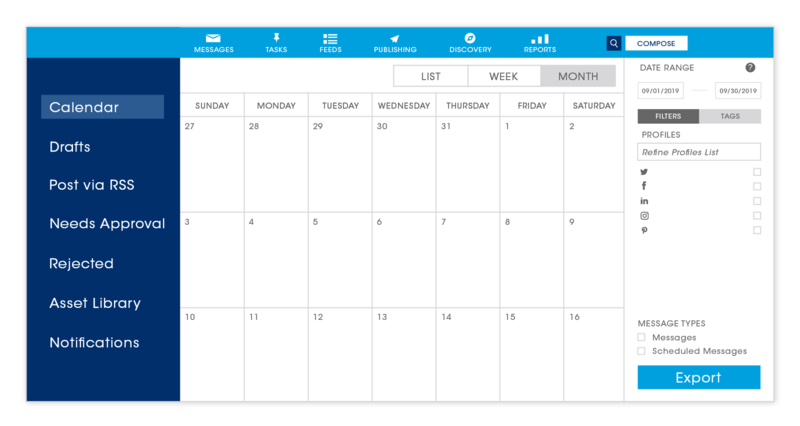 Keeping your social media schedule organized is difficult without a content calendar. Planning ahead helps save you time, keeps you accountable with deadlines and enables you to post more strategically. Try starting with the 80-20 rule when scheduling content. Use 80% of your content to inform, educate or entertain your audience and 20% to promote your brand or sell your products. How does B2B differ from B2C on social media platforms? Which channels require more formal language as opposed to fun and witty wordplay? And most importantly, how much should you write for a post? Facebook One to 80 characters 63,206 characters 1080 x 1080 pixels Ask questions that prompt discussion. Clickbait language like “Share this post” will be penalized in the News Feed. Keep to a minimum since they don’t help with engagement. Use brief copy and a compelling CTA. Show off your brand personality. Posts with five to nine hashtags at less than 24 characters get the most engagement. LinkedIn Fewer than 128 characters 600 characters 1200 x 628 pixels Avoid question marks; exclamation points perform better. Keep to a minimum (five or less). Use event or industry-specific hashtags. Pinterest Between 75 and 150 characters 500 characters Vertical image that’s 736 x 1102 pixels One or two keyword-rich sentences with a positive sentiment. Avoid using excessive symbols, prices, promotional info or exaggerated claims. Be specific and descriptive. Use no more than 20 hashtags. Twitter 120–130 characters 280 characters Maximum is 1024 x 512 pixels. Can tweet up to four images at one time. Emojis attract the eye. Roundup tweets of industry news provide digestible, shareable snippets. Humor is effective. Keep to one to two relevant hashtags per tweet. When are the best times to post your content on Facebook, Instagram, LinkedIn, Pinterest or Twitter? While there are studies on the best times to post on social, the answer changes often. If every business, influencer or marketer posted at the same time, the feed would be overcrowded and your message would get lost in a sea of others. Facebook Wednesday Noon and 2 p.m.
Thursday 1 and 2 p.m.
Thursday 5 a.m., 11 a.m. and 3–4 p.m.
Pinterest Friday and Saturday 8–11 p.m., 2–4 a.m. and 2–4 p.m.
Across all industries, finding the right posting frequency is key. Being too promotional is one of the top reasons customers will unfollow you on social (34.9% of all unfollows). Other reasons for an unfollow include irrelevant information and too many posts. Focus on quality over quantity and be sure every post and interaction is connected to a broader goal or objective. Health care: This is a difficult industry given the rules and regulations to remain HIPAA compliant. Be sure to follow industry regulations and keep your voice consistent. Travel and hospitality: Poor customer service or negative reviews can make or break your business. Focus on reputation management, reviews and customer satisfaction. Real estate: This market is very competitive. Educate potential buyers and stay on top of industry trends and emerging technologies with your social media posts. Finance and banking: To avoid social media trouble, consider the rules and regulations of marketing your institution. Mitigate risk and use your reputation as an industry expert. Social management platforms help you manage multiple social profiles in one place, schedule posts in advance and track analytics across platforms. If you’re busy, these tools really are game changers for keeping your strategy on track. Luckily, many platforms have a free plan, so you can experiment and find what works for you. 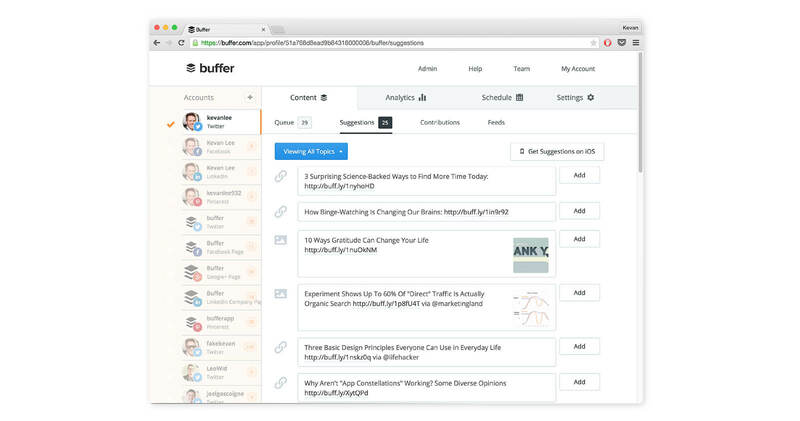 Buffer: With the free plan, you can manage three social profiles, schedule up to 10 posts and shorten and track links. Also consider the free image creator and GIF/video uploader to create and schedule more visually appealing content. Hootsuite: With the free plan, you can manage three social profiles in one place, schedule 30 posts in advance and generate leads with social contests. Zoho: With the free plan, you can manage one brand and shorten URLs. The free zShare browser plugin also makes it easier to curate and share content you find on the web. For 45% of consumers, social media is one of the first channels they go to if they have a question or issue. Social media platforms that focus on customer service can drive customer satisfaction and be a source of brand loyalty. It’s important to show responses to negative reviews or comments as well as positive ones. A business that acknowledges, fixes and responds to unfavorable comments can have a positive impact on prospective customers. Not responding could even mean losing a customer. According to Sprout Social, 29% of consumers are more likely to visit a competing business if they are ignored on social media. Studies show businesses that engage with customers via social media earn 20 to 40% more revenue per customer. Brainstorm relevant hashtags and start incorporating them into your social media posts. 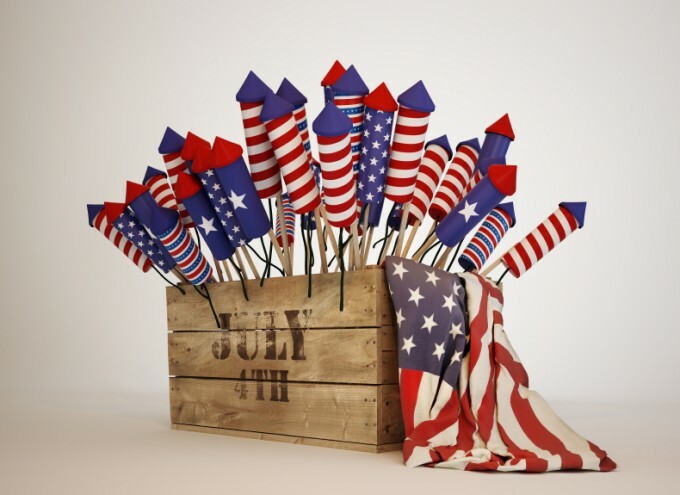 Relate social media posts, campaigns and hashtags to well-known events. Take advantage of a trending topic so more people find your posts, which will help boost engagement. To get started, reference a marketing calendar for relevant events and dates like National Get to Know Your Customer Day or Small Business Saturday®. While every industry is unique, one strategy that’s successful for most is influencer marketing, which is set to reach $10 billion by 2022, as reported by Business Insider. Influencer marketing involves coming up with a list of influential and reputable accounts that have content similar to yours, then engaging with these accounts by following them and liking/commenting on their posts. Once an influencer account has followed you back, send a direct message asking if there are opportunities for collaboration and promotion. This strategy also extends to bigger companies we know and love. For example, Walmart partnered with seven influencers and celebrities to get the word out about its “Fight Hunger. Spark Change.” campaign. The group of seven influencers had a total combined reach of 29.5 million users. Each influencer created sponsored Instagram posts to announce that for every like, share or #FightHunger comment on their post, The Walmart Foundation would donate 90 cents to Feeding America. The influencer campaign saw huge success. It had an engagement rate of 23% and generated over three million likes and 200,000 comments. Walmart raised nearly $1.5 million during the campaign — which translated to over 16 million meals — while boosting a positive brand sentiment. Social media is a helpful advertising medium that can cost much less than other forms of advertising, especially for small businesses. Well-placed social media ads can help you reach leads in new markets and demographics. They help you diversify your business strategy to reach customers and promote your business. One way is with social ads. On Facebook and Twitter, for example, you can set your own budget and bid on advertising. Ads help you achieve awareness, consideration or conversions on social. Shopify’s Facebook campaign is a great example that checks off all the boxes. The ads leverage aspirational messaging paired with clean and minimal design to create a compelling experience. Shopify is an e-commerce software that gives users a platform to start, run and grow a business online. Starting a business is not always an easy step for people to take. A Shopify ad plays into this emotion. It asks a thought-provoking or motivational question then encourages people to take that first step in their entrepreneurial journey through the “Build Your Store” CTA. Based on interest: You can target users by a number of chosen interests or groups. If your company sells cameras, you could target people who’ve expressed interest in photography and Canon. Retargeting: Each platform offers retargeting to help you reach people who’ve already visited your website. The benefit of retargeting is that a conversion is more likely to occur when you know a prospect’s interested. You may also upload an email list and use Facebook Custom Audiences to serve ads directly to subscribers. Lookalike audiences: Upload a list of your customers to a social media platform to find users with similar profiles. This lookalike audience, which is similar to your existing customer base, is more likely interested in your business. Organic and paid marketing can also be combined to create a powerful campaign that reaches different audiences and achieves different goals. Social media, in some cases, is pay to play. In fact, on average, businesses only reach 6% of their fans without using paid ads. Cost per click (CPC) You pay for an ad placement when an individual clicks on the ad. Cost per view (CPV) You are charged every time an individual views your ad. Cost per action (CPA) You are charged every time an individual completes the action you specify, such as signing up for a newsletter or making a purchase directly from an ad. Cost per like You are charged for every like given to an ad, photo or page. Cost per thousand (CPM) You are charged for every 1,000 impressions (times your ad is displayed). Social media bidding: You have the option to select maximum or automatic bidding. Maximum lets you decide how much you’re willing to spend to achieve your campaign objective, while automatic allows the platform to automatically set a bid for your campaign based on your goal and budget. Budget structure: You have the option to set a daily or lifetime budget. A daily budget means you set the limit you want to spend each day, while a lifetime budget lets you set the total amount you’ll pay for the duration of that campaign. More ad specifics for Facebook, Instagram, LinkedIn, Pinterest and Twitter are available on each site. 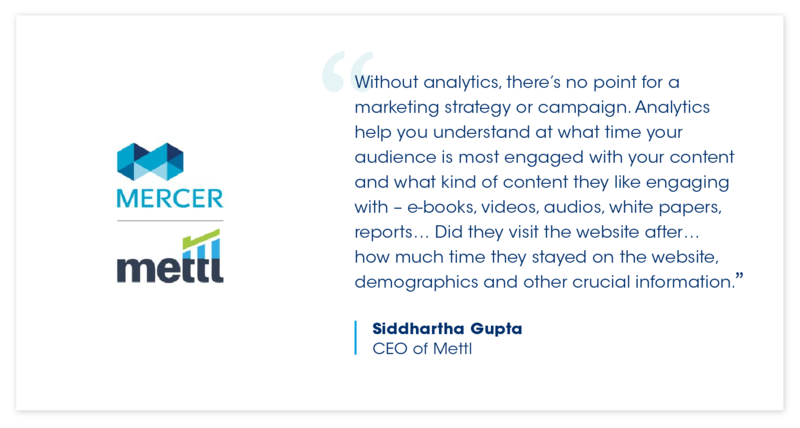 By diving into your analytics, you’ll have a better understanding of your audience and what resonates most with your followers. In turn, you can create engaging and relevant content based on your research. One of the most important elements in crafting a social media strategy is identifying and understanding your audience. Are your typical customers male or female? Are they young or old? What are some of their likes and dislikes? Are they locals or do they live all over the world? If you have a general idea of your audience, social media data can help you narrow it down even further. Once you have your data, you can identify who and where your audience is, so you can create content they will enjoy! Rather than blindly posting content, you’ll have a better idea of whom you’re talking to. Sharing relevant content with your customers will help with engagement too. Under the “Tweets” tab, Twitter Analytics offers detailed analytics on each tweet. You can filter organic impressions by a specific day and time period, then export this data into a spreadsheet. Another helpful feature of Twitter Analytics is Audience Insights. Your Twitter data will change depending on your audience type, but it empowers you to view insights for all Twitter users, your followers and your organic audience. After you select an audience, you can narrow the percentage of your audience to things like interests, lifestyle, gender, behaviors and mobile footprint. It gives you a more in-depth look at what your audience enjoys. 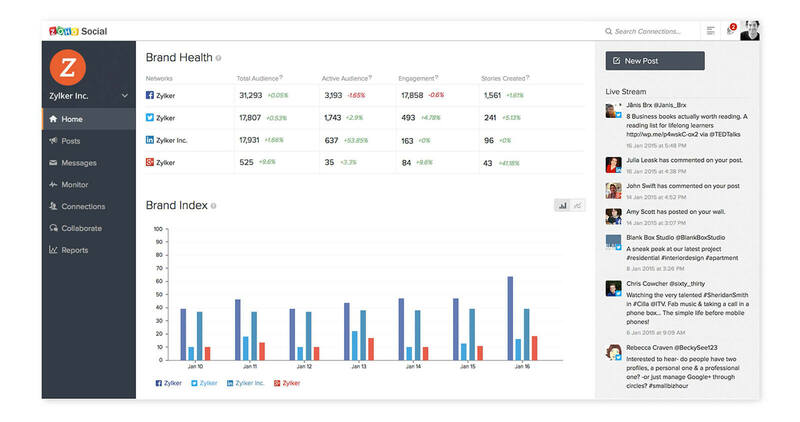 Many of the built-in dashboards offer additional features to take advantage of. Twitter Analytics, for example, enables you to browse industry-related or trending events to work into your social content. You can also connect it to other apps with App Manager for a streamlined workflow. Omni translates to “in all places,” so omnichannel means you’re giving customers a seamless experience across every channel. Each platform is connected, from in store to online to mobile, and customers can expect the same result. Old Navy, for example, rolled out an omnichannel marketing strategy integrating its digital and brick-and-mortar shopping platforms. The clothing chain now offers a quicker shopping experience by giving customers the ability to check store availability of items and select a “buy online, pick-up at store” option. Store signage points visitors to a designated online order counter for easy pickup. 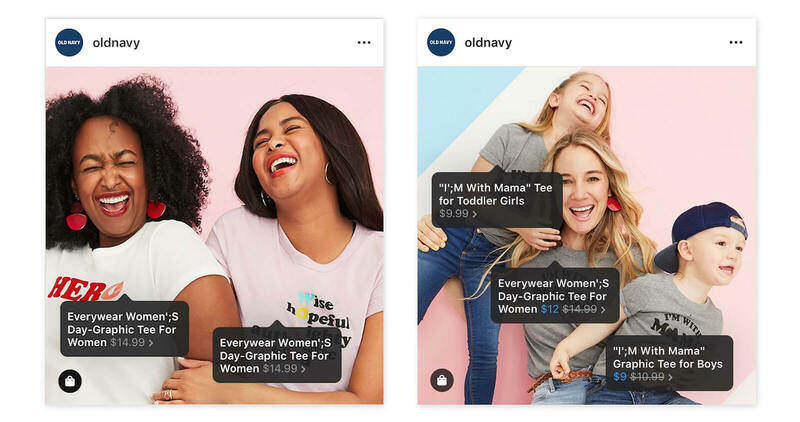 Old Navy also utilizes Shopping for Instagram where shoppers can click directly on a product tag, which takes them to that product page for more information or to make a purchase. Support your customer through the buying journey by connecting every channel. There are simple ways to incorporate omnichannel marketing into your small business. Imagine you run a local pizza shop. Consider every channel to optimize the customer experience. Rather than just selling pizza slices in store, offer delivery and carryout through methods like call in, order online and order on mobile. Delivery services like Postmates, DoorDash or Uber Eats provide additional opportunities for customers to place orders that also help put your business on the map. Social media can feel overwhelming, especially as a small business owner who’s pulled in many different directions. Luckily, even if you are a business owner who dislikes social media, you can be successful if you’re strategic in your approach. Use the helpful tips we’ve outlined in this guide to get started, then download and save it for an easy reference. Looking for help with your social media management? Valpak® offers management of all social platforms to drive consumer engagement with your brand. We have the resources to manage your content strategy: crafting offers that bring traffic to your door, knowing the best time to deploy new messages and gaining solid insight into what your customers want now.